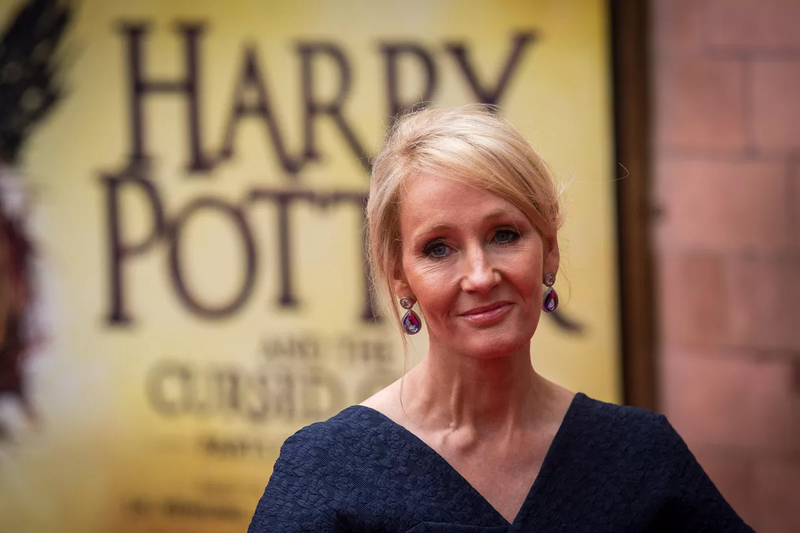 The story goes that J.K. Rowling was homeless and living in her car before a publishing company finally picked up Harry Potter and the Sorcerer’s Stone. Rowling claims that she was turned down fifty times. Dumb move by everyone who passed because now she’s a billionaire and the books and movie franchise(s) –including the Fantastic Beasts spinoff – have grossed more money than anybody can calculate. But all that fame and money didn’t give Rowling the right to destroy her series with a ridiculous remark. Harry Potter is undeniably one of the most acclaimed international sensations of this millennium. Children and grown adults lined up at Barnes & Nobles and Borders for hours when a new book was released. Then the international sensation exploded into movie theaters and the rest is history. It’s hard to deny that Rowling’s work didn’t personally affect the lives of millions of people. For some, it was magic. If your memory is a little shaky; Dumbledore was the Headmaster of Hogwarts but not in his younger days – revealed in Fantastic Beasts – while Grindelwald is this franchise’s Lord Voldemort, causing hell in the wizarding world. Really what she’s referring to is the “fluidity” of sexuality that’s definitely been adopted as a mainstream “ideology” by liberals. So if that’s the case then what’s really the point of defining it? These are fictitious characters and its’ understandable that the writer wants to fill them with as much complexity as possible but these are studio movies that reach young children. Really young children. Most of us thought it was about magic and outcasts driven away by society to find something in common and build relationships. Addressing the elephant in the room isn’t that a child seeing a relationship unfold in this capacity has some evil brainwashing, subliminal messaging, that is designed for kids to seek out the same behavior. It’s not that. Is Rowling, the producers,and directors, really not aware that Harry Potter and Fantastic Beasts are not specifically children’s books? Introducing that element is just tonally off and completely unaware of the genre and rating that the films are. The rating system is designed to be age-required but the contents seem to be getting more and more literal. It’s fine to do that but save it for a more mature audience.